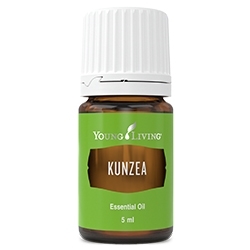 Lavender (Lavandula angustifolia) essential oil has a scent that’s a wonderful blend of fresh, floral, clean, and calm. It’s this dynamic aroma that has made the plant a classic for perfumes, soaps, fresheners, and beauty products. 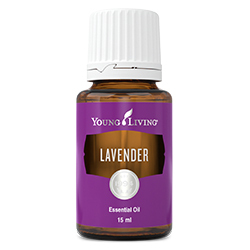 As one of our most popular products, Lavender is a great beginner oil and a must for every home. Lavender essential oil isn’t just a favourite because of its classic scent—it’s also highly versatile. 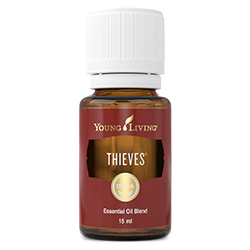 From skin care products to relaxing routines, this oil can infuse and enhance many areas of your life. The many plant constituents in Lavender essential oil contribute to a vast range of usages and the oil can be applied to the skin undiluted. Young Living Lavender essential oil can be used to create elegant dishes that will impress your family and friends. The herb has a sweet, slightly floral flavour that pairs well with both rich and light foods. Use Lavender essential oil to conveniently add this delightful flavour to your meals. Although more popular with sweeter recipes, the benefits of Lavender essential oil extend to savoury dishes as well. In fact, lavender is sometimes included in the famous Herbes de Provence along with spices such as marjoram, thyme, oregano, and rosemary. Put a new spin on a classic meal and pair it with chicken, lamb or even potatoes. Just a hint can enhance the flavour of your entire recipe. To avoid overwhelming your food, start small. Try dipping a toothpick in your oil and then swirling the toothpick in your food preparations. Add 10 drops of Lavender and 1 cup of Epsom salt to a bath to create a relaxing environment. Create a DIY room freshener with Lavender or diffuse it to help banish stale odours. Diffuse Lavender in your bathroom to make your bathroom smell fresh. Put 3-5 drops of Lavender oil in each of your shoes to keep them smelling fresh. If your shoes have plastic or leather soles, put the oil onto a cotton ball and leave it overnight. Keep your carpet or rug smelling fresh with Lavender essential oil added to baking soda. Sprinkle the mixture into the carpet, let it sit for at least 15 minutes, and then vacuum it up. Add to food and drink recipes for a beautiful floral taste. Put a new spin on a classic meal and pair it with chicken, lamb or even potatoes. Make homemade fruit jams infused with Lavender essential oil. 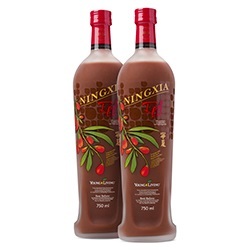 Try mixing it with blueberry, apricot, raspberry, or peach jams and jellies. Combine Lavender’s earthy, low notes with bright citrus flavours. Experiment with lavender-lemonade or a citrus sorbet. Complement dairy with Lavender essential oil in shortbread, pound cake, ice cream, meringue, or whipped cream recipes. Balance Lavender in savoury dishes with herbs such as thyme, rosemary, and oregano. Add to a bath or diffuse to create a calming and comforting atmosphere. Keep out of reach of children. If you are pregnant, nursing, taking medication, or have a medical condition, consult a health professional prior to use. Keep away from eyes and mucous membranes. Historically, Greeks used lavender aromatically by burning it. The ancient Romans used it in their baths for washing and valued it so highly that one pound of lavender flowers were sold for the equivalent of a month’s wages for a farm labourer.